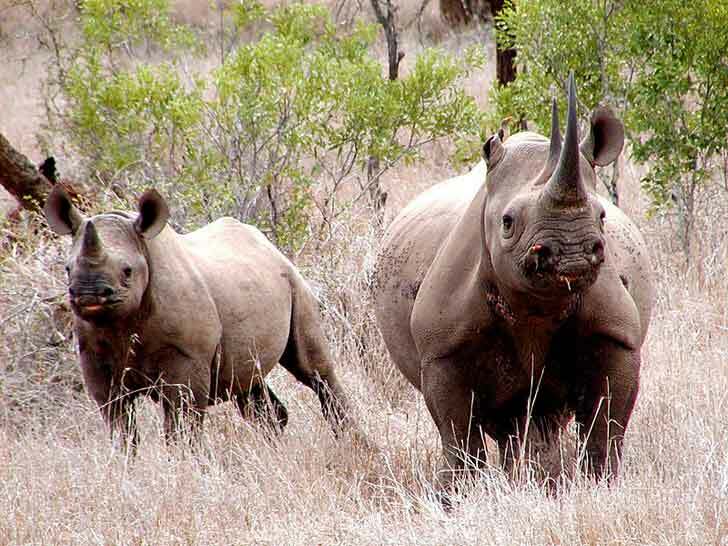 Safari Club Auctions Permit to Kill Endangered Black Rhino – for Sake of Conservation!? If you’re trying to preserve a severely endangered animal, it’s obviously not the best idea to hunt it for sport. But in a bizarre twist of logic, the Dallas Safari Club has decided to auction off the chance to kill an imperiled black rhino in Namibia. 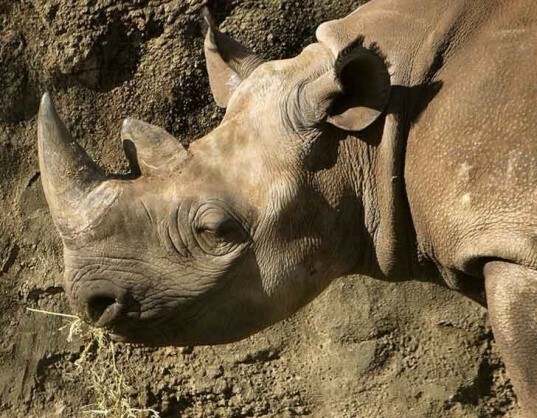 The money raised will supposedly go towards preserving the remaining population of rhinos – but if the Dallas Safari Club really wanted to save rhinos, why not stop hunting them in the first place? According to the WWF, Africa’s black rhino population plummeted by 96% between 1970 and 1992. Their decline was mainly attributed to habitat loss and heavy poaching. Rhino horns are sometimes used in traditional Chinese medicine, and demand from China continues to threaten the species. Only 4,838 animals remain in South Africa, Namibia, Zimbabwe and Kenya. Conservation groups have taken issue with Carter’s argument and see no reason why money cannot be donated directly to wildlife funds. Organizations such as The Humane Society plan to petition the US Fish and Wildlife Service to keep them from issuing a permit to let the hunter bring the carcass back to the United States. You say: "According to the WWF, Africa’s black rhino population plummeted by 96% between 1970 and 1992." Correct. Then you say: "Their decline was mainly attributed to habitat loss and heavy poaching." And legal hunting? You failed to report the mainly role legal hunting in the rhino population decline, as the same WWF page clearly reads: "relentless hunting by European settlers saw their numbers and distribution quickly decline. By the end of the 1960s, they had disappeared or mostly disappeared from a number of countries, with an estimated 70,000 surviving on the continent." Wow, no bias here. The rationale is that hunting privately owned Rhinos for sport makes it commercially viable (and thus more financially attractive than poaching for horns), to save and protect the remaining herds. A similar thing has already happened in the states with the American Bison, when the US government allowed the engendered Bison to be farmed for meat, suddenly there was an incentive to go from just not shooting them, to making them multiply. What a shock ! in the States , no surprise there ! Just cant get enough of that hunting ! Safari Club Auctions Permit to Kill Endangered Black Rhino - for Sake of Conservation!? If you’re trying to preserve a severely endangered animal, it’s obviously not the best idea to hunt it for sport. But in a bizarre twist of logic, the Dallas Safari Club has decided to auction off the chance to kill an imperiled black rhino in Namibia. The money raised will supposedly go towards preserving the remaining population of rhinos - but if the Dallas Safari Club really wanted to save rhinos, why not stop hunting them in the first place?